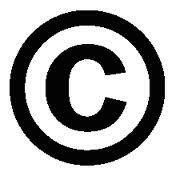 Copyright Basics: What is Copyright Law? The WMU Libraries are committed to promoting access to information while honoring author rights and the legal use of protected information. University Libraries may place articles or book chapters on electronic course reserve for the WMU community provided that the materials adhere to fair use and copyright guidelines. University Libraries will seek copyright clearance for reserve materials that exceed “fair use” guidelines and will pay any fees up to $50 for one semester. This collection of "Charts and Tools" provides helpful step-by-step guidance on copyright issues including fair use, classroom use, digital images, etc. Use this site to request permission to reproduce copyrighted materials such as figures, articles and book chapters in photocopies and derivative works such as publications, course packs, marketing literature, Web sites and more. "Fair use" balances authors' rights with educational needs. It does NOT grant unrestricted use of information at the University. An intended use must satisfy the four fair use factors and typically can only be applied one time for a particular copyrighted work. If fair use does not apply, then permission must be requested. Online information provided by WMU Libraries is usually restricted to current WMU students, faculty, and staff. You should NOT post a full-text copy on the open Web. Instead, provide a persistent URL link to it. See also Retain your author/creator copyrights section below. It is not necessary or desirable to sign away the exclusive rights to your work in exchange for publication. It limits your ability to post your own work online, use it in course packs, or include it in Web-based repositories such as ScholarWorks at WMU. Modifications to publisher agreements and alternative licensing options can be found at the SPARC and Creative Commons sites. SHERPA/RoMEO provides publisher policies on posting previously published articles on the Web and in open-access repositories. You may download targeted items for learning and research from WMU Libraries information resources, but you may not systematically download or print substantial portions of databases or online books, create derivative products, obscure or modify copyright notices, or share content with non-WMU users without permission from the copyright holder.